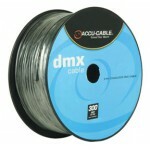 Accucable manufactures a professional grade line of cables, ranging from microphone cables, speaker cables to DMX data cables. 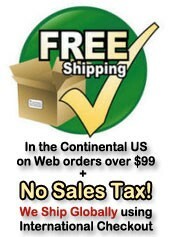 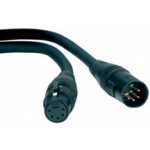 They have different lengths of data cables and XLR cables per your requirements. 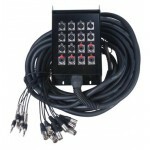 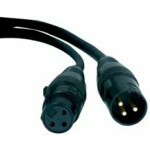 Accu cable is a quality cable that is used in countless stages, mobile DJ events, nightclubs and more. 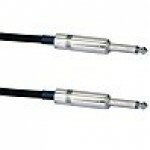 SNK12x4 100 12 XLR x 4 TRS (1/4 inch) 100 FT Heavy Duty Snake..
SNK12x4 30 12 XLR x 4 TRS (1/4 inch) 30 FT Heavy Duty Snake..
Accu Cable AC3CDMX300 300ft Spool - 3 Pin DMX Data Cable..
Accu Cable AC3PDMX10 10 foot - 3 Pin DMX Cable..
Accu Cable AC3PDMX100 100 foot - 3 Pin DMX Cable..
Accu Cable AC3PDMX25 25 foot - 3 Pin DMX Cable..
Accu Cable AC3PDMX5 5 foot - 3 Pin DMX Cable..
Accu Cable AC3PDMX50 50 - 3 Pin DMX Cable..
Accu Cable AC5CDMX300 300ft Spool - 5 Pin DMX Data Cable..
Accu Cable AC5PDMX10 10 foot - 5 Pin DMX Cable..
Accu Cable AC5PDMX100 100 foot - 5 Pin DMX Cable..
Accu Cable AC5PDMX25 25 foot - 5 Pin DMX Cable..
Accu Cable AC5PDMX5 5 foot - 5 Pin DMX Cable..
Accu Cable AC5PDMX50 50 foot - 5 Pin DMX Cable..
1/4 to 1/4, 50 ft, 12 gauge cable..
1/4 to Banana, 50 ft, 12 gauge cable..
1/4 to 1/4, 6 ft speaker patch cable, 12 gauge cable..
1/4 to 1/4, 25 ft, 14 gauge cable..
1/4 to Banana, 25 ft, 14 gauge cable..
1/4 to 1/4, 50 foot, 14 gauge cable..